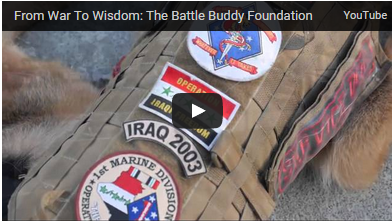 The Battle Buddy Foundation is honored to be a part of such an amazing project, From War To Wisdom. Check out the clip above featuring TBBF’s Executive Director, and Cofounder Kenny Bass and his service dog, Atlas the Wonderdog. Watch for the film’s release in early 2015.